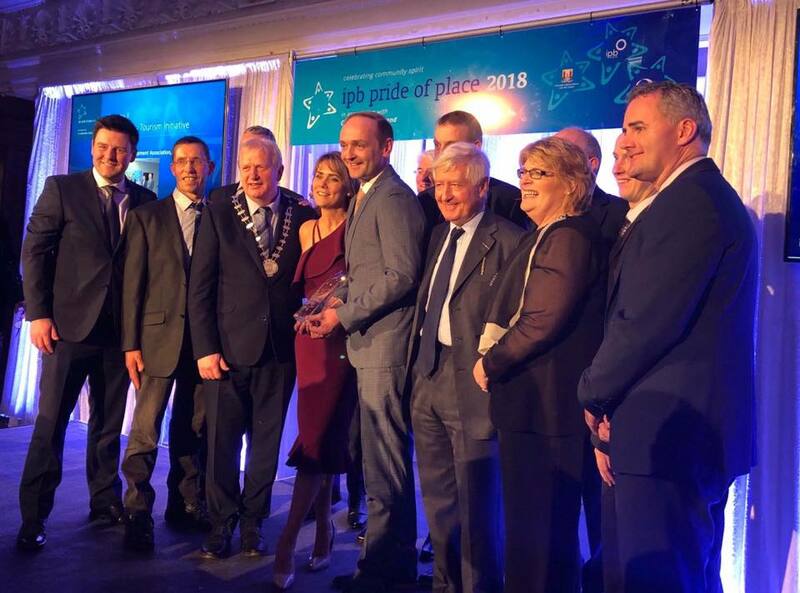 Moneygall Development Association was honoured to receive a Pride of Place Award for our Community Tourism Initiative which highlights the work we are doing to make Moneygall an attractive place to visit. This work commenced in 2011 and continues but our work as a development association is also complimented by the many other organisations and groups who work to enhance our community. Our presentation in July 2018 to the Judges was supported greatly by Dunkerrin Reaching Out and Cloncannon Bio Farm, these two organisations definitely enhanced our appeal to the judges along with the development of recreational facilities in the community for all to enjoy. Moneygall Development want to thank the Judges for recognising our efforts but we also must thank Offaly Co Co and the support staff who assisted and believed in us as they put us forward to represent the county. We also couldn't have been considered for this award if it wasn’t for the continued support of Offaly Local Development Company who have worked with us since our inception in 2011. The community of Moneygall and the volunteers who give tirelessly to organisations make our community what it is, and the displays put on by everyone in the Church of Ireland Hall in July just shows you that we all certainly have Pride of Place. Working together we can do great things and we can’t wait to see what 2019 brings. The judges were warmly welcomed to this now major tourist attraction of both National and International significance. Since the visit of an internationally renowned figure in 2011, the Community have also recognised the importance and benefits of developing the rich heritage and genealogy of the area. This was demonstrated to the judges by two Skype calls to families in the UK and the USA who can now trace their ancestors to the area thanks to the work of the local community. The far-reaching vision is also illustrated in the development of the impressive local bio farm which has established links with Colleges and Schools across Europe and locally. This community created initiatives that will ensure a continuing flow of visitors to the area for many years to come. Moneygall Development Association is committed to continue develop our community following on from the successful implementation on our development plan “Moneygall Forward 2012-2017” and thanks to funding and supports from the Rural Development Programme we commenced a process of community engagement to establish our community requirements as we plan to 2025. This plan facilitated and compiled by Catherine Corcoran an academic and practitioner is the culmination of community engagement, consultation with Offaly Local Development Company, an input from local government and an alignment to national strategy for community development. Our first community plan was ambitious and identified over 50 actions that were required to build and develop a community enjoyable for people to live and visit. We have delivered on the majority of the actions and now have begun this new phase to develop, support and enhance what we have started. We also want to ensure longevity of community projects and development into the future. 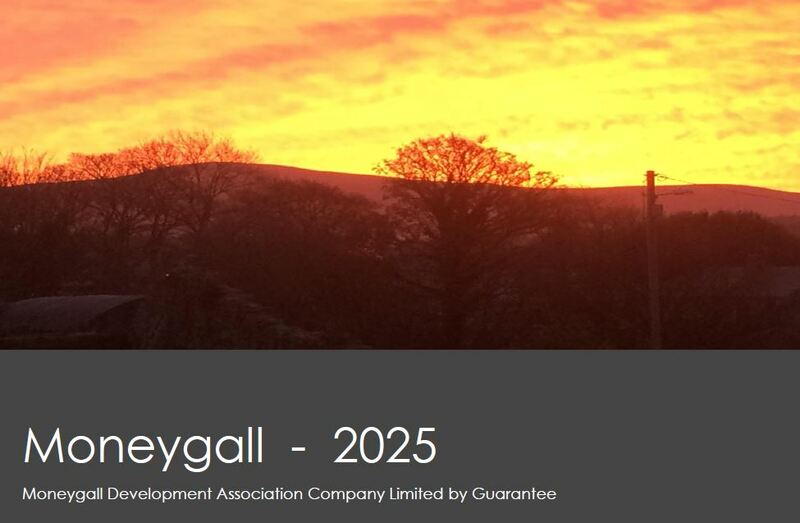 "Moneygall 2025" is our new vision for a bold and modern rural community, we want to become a healthier community with a strong focus on health and wellbeing along with a cleaner and healthier environment. The plan identifies opportunity for social enterprise and the continued enhancement of our community assets. We want to prosper and continue to expand opportunities for tourism and continue to preserve and protect our history and heritage. This plan is wide and expansive in its proposals and we invite you to read the plan, engage with us and help us fulfill these objectives by 2025. Moneygall Development Association is proud to showcase our community, we might be small in size but we are big in heart. We have developed walking trails, activity parks, cycle routes and organise plenty throughout the year. We are fortunate to be in both Irelands Hidden Heartland and Irelands Ancient East and have adopted our Tourism slogan of "Moneygall a village hidden in the heartlands of Irelands ancient east"